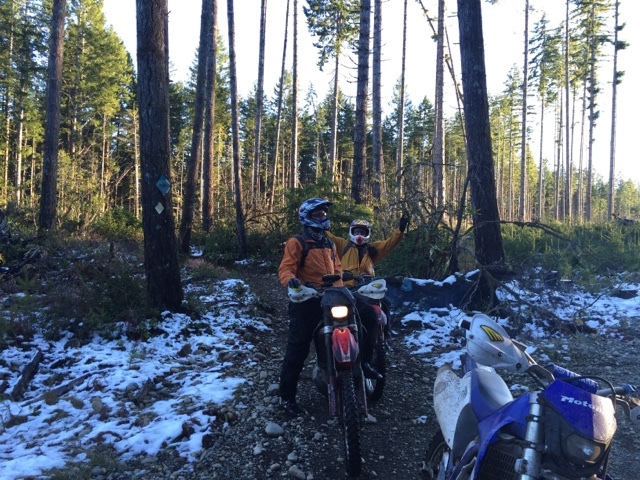 Wednesday, December 30, 2015 -- Swamp Monster, Ghostface KLR, and MotoBum met at Tahuya for a sunny but cold dirt rip. Snow covered the ground from a few days prior, making some of the trails somewhat slippery while the subfreezing temperatures kept the dirt stiff and less forgiving than usual. GFKLR ended up lowering his front tire pressure to compensate for the conditions after six near loss-of-front wipeouts. No other close calls were had... none particularly memorable anyway. 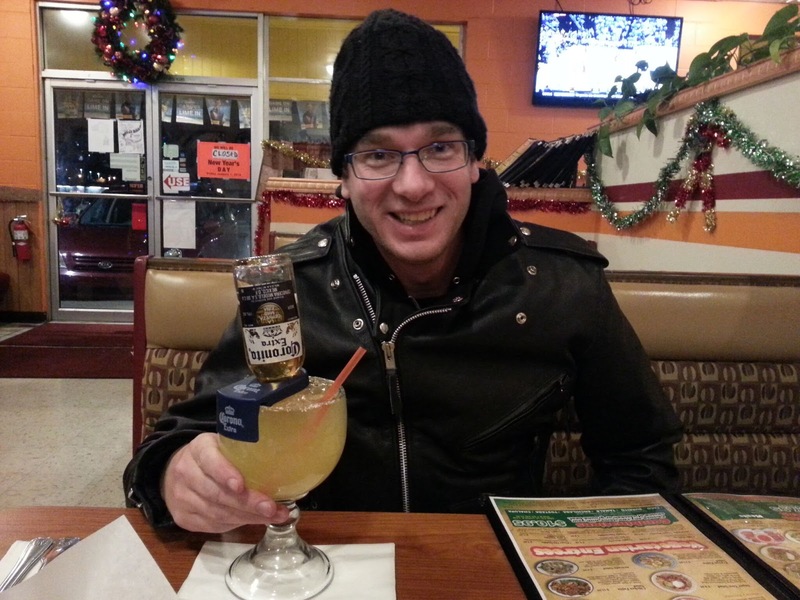 The last-of-2015 ride ended at El Huarache Azteca again where MotoBum drank the "Margarona," a margarita with a bottle of Corona tipped into it. 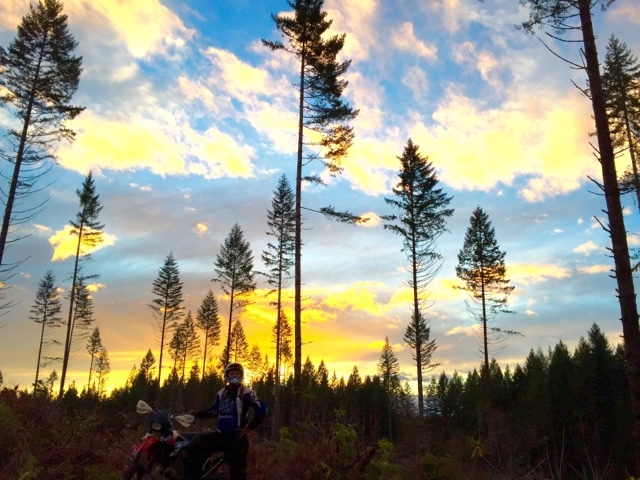 Sunday, December 13, 2015 -- Ghostface KLR and MotoBum hit Tahuya for some Church of Dirt action. The weather turned somewhat decent for the ride. Even though exhausted from a day of shredding, the ride continued past the sunset time of 4:18 PM, the earliest sun down at this latitude in 2015. 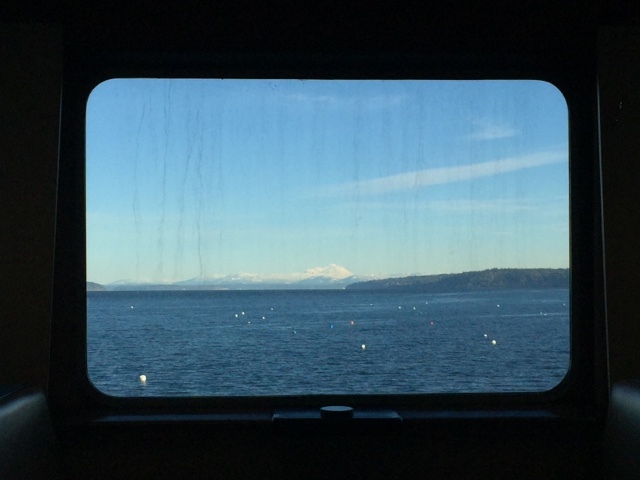 Recent fall storms made this ride one of the wettest in TDC history. 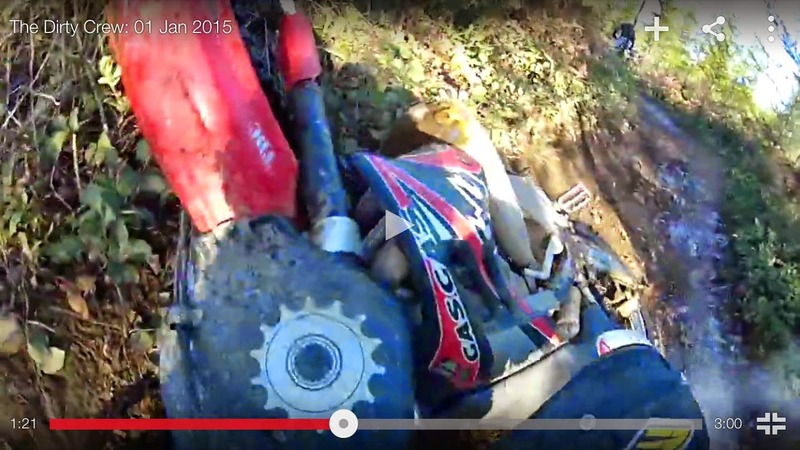 MotoBum's WR250F choked out in the middle of a deep large "puddle," which forced a boot-soaking push out. The boots were so soaked that MotoBum actually took them off for a moment on the trail to wring out his socks. After a $2 four-minute bike wash in Belfair, El Huarache Azteca in the booming metropolis of Silverdale took money in exchange for tacos and libations. 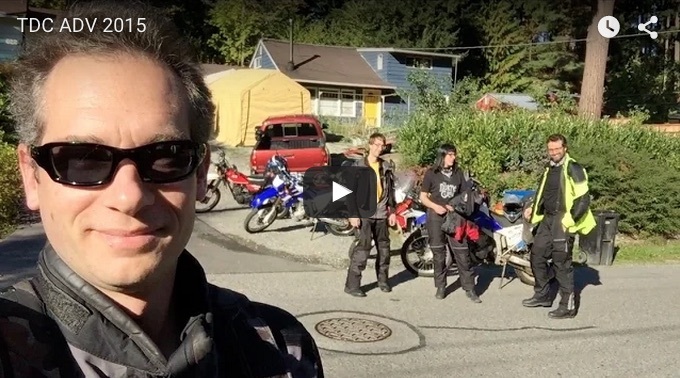 Happy Thanksgiving from a mad man on a motorcycle. 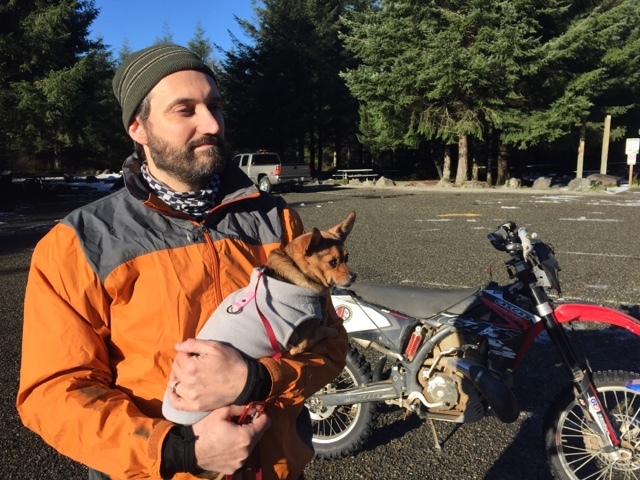 Sunday, November 8, 2015 -- MotoBum, Ghostface KLR, and Shotgun Ruthie went to the tacky dirt at Tahuya. Not too far into the ride, Ruthie tried to total out her Kawasaki on a tree, but ended up only bending the front brake disc. She was fine. 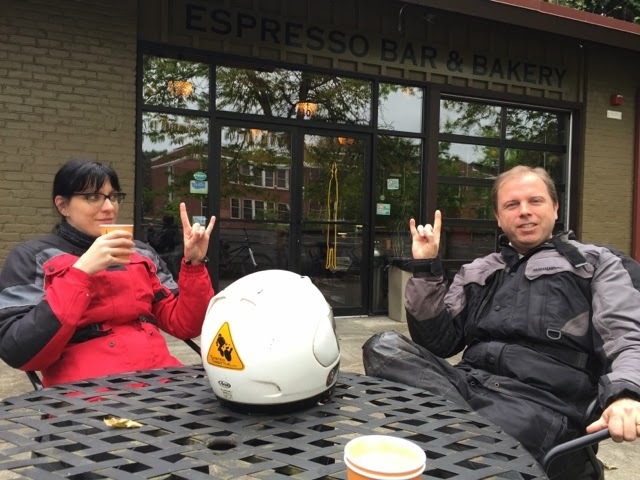 After limping that green bike to the 'lot, MotoBum and Ghostface KLR took off for an hour of go-go-go sliding and riding. MotoBum found a driver's license was found lying on the trail and mailed it to some dude later in the week. The bike-trashing celebration took place that night in Silverdale at a restaurant called "2 Margaritas." 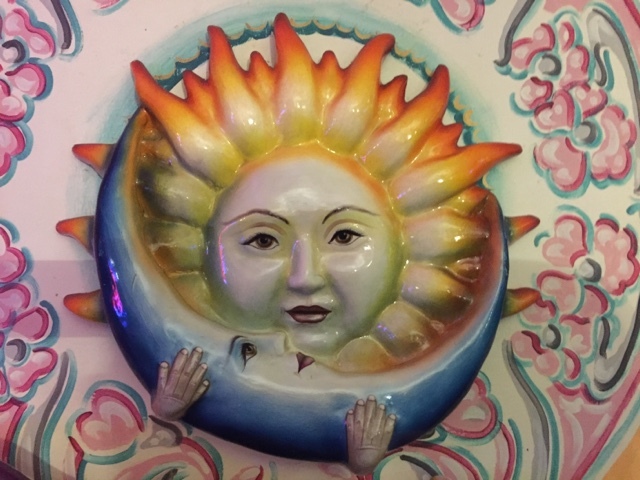 It was next to Chuck E. Cheese's in a strip mall. Yum. That experience rounded out two nights in a row of partying as one of Ghostface KLR's bands had played at Darrel's Tavern the night before. 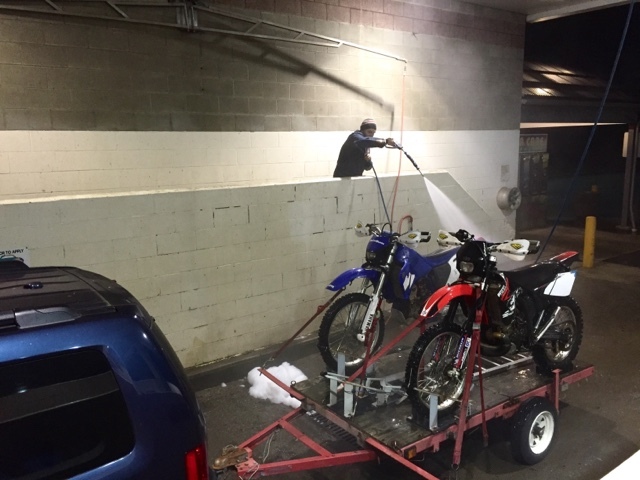 Shotgun Ruthie, E-rock, and MotoBum saddled up, rode out to I-90 Motorsports in Issaquah, and rode the 2015 Yamaha models out of the demo truck. 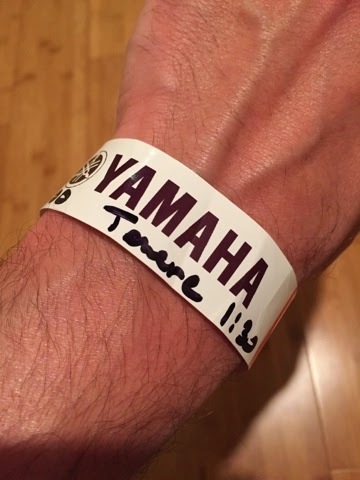 MotoBum rode the FJ-09 & Super Ténéré, E-rock rolled the Super Ténéré & FZ-09, and Shotgun raced the FZ6R & FZ-07. 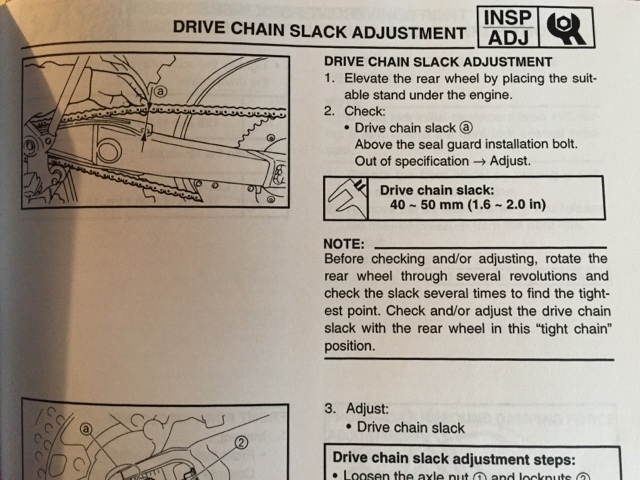 After the ride, notes were compared. The FZ6R sounded to be the most fun and comfy. The others? Well, they were okay. Today TDC East featured a guest star... G-Rock. 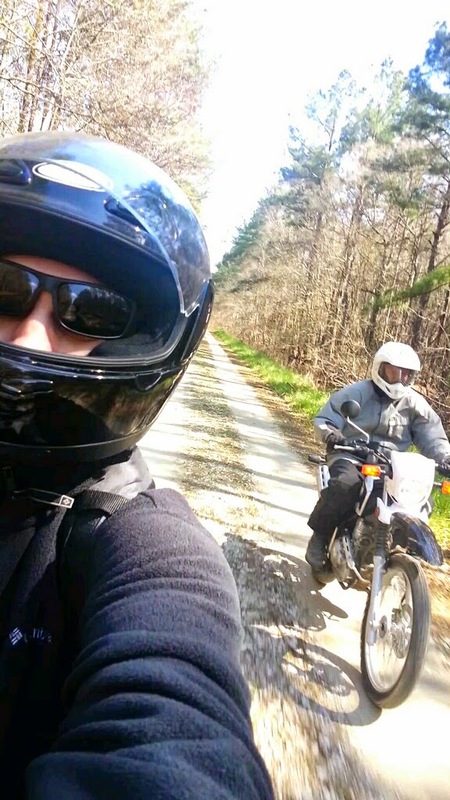 Francis Marion National Forest dirt road action. We even took a turn onto the Wambaw Cycle Trail for a short bit. 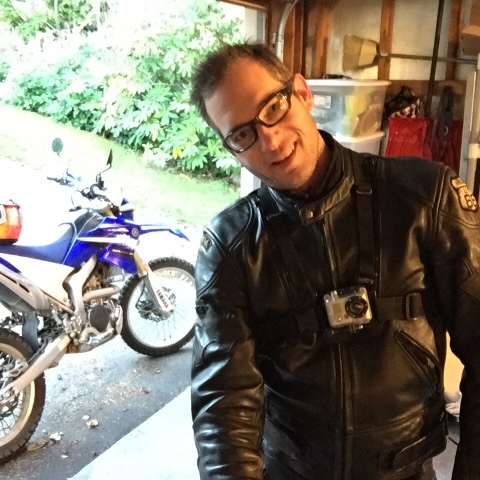 One shot is a still from a skillfully shot Video Moto Selfie with E-Rock trailing on the XT (#250takeover). Hopefully we will see the whole video soon. G was a big fan of the big DR.
Sunday 1/25/15, there were no kids activities planned, DW was off, and it was sunny. I got a hall pass so I went out for a few hours. First decision was which bike to ride. I went with the big DR because it has better wind protection and it was a bit chilly. Exactly one mile from the house I realized I hadn't attached the Walmart trash can wind screen (can be seen here: Walmart Windscreen. 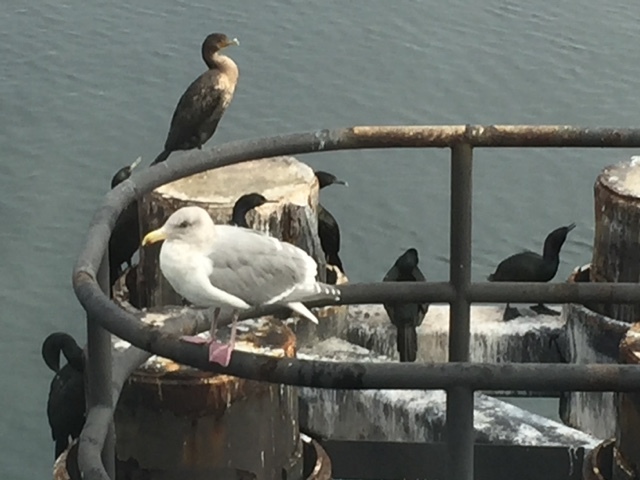 I turned around and started over. I live about 14 miles from the intersection of Hwy 17 and Guerins Bridge Road north of Mt Pleasant (SC). From there I went north on some dirt and some gravel and some pavement (Willow Hall Rd, Whilden Rd) until I was close to McClellanville. I then crossed over to the east side of 17 into McClellanville. There's a dirt road (Dupre Rd) heading out of town north. Headed up S Santee Rd, then back on 17 briefly to cross the river, and another right turn onto N Santee River Rd. Followed Estherville Dr and S Island Rd up into Georgetown. I went into Georgetown and down Front St to the park at the end of the road. Stopped for a cup of coffee to warm up, and then zipped back down 17 all the way home. I need to take more pictures. It was about 140 miles total - almost no traffic, blue skies... nice day. The Dirty Crew started the new year right. 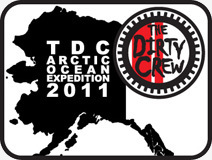 The Church of Dirt was attended at Tahuya, as had been done three years prior. It was the right thing to do. Those in attendance were Ghostface KLR, MotoBum, Swamp Monster, and Guest Star 4-Fiddy. 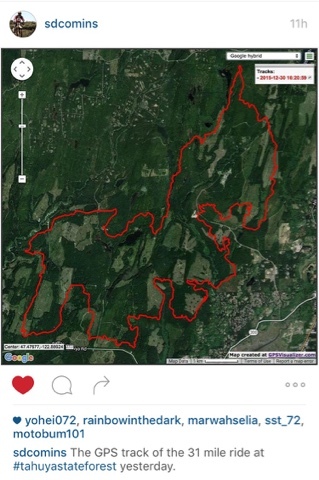 Check out the amazing ride documentation video and interactive ride route map.